RE/MAX took me from a non-producer to top-producer. The training, the experienced agents and the culture has pushed me to be the best that I can be. I am incredibly thankful for my broker and all she does. There's no place I'd rather be. I had a great experience with RE/MAX. Andy Garcia and his showing agent Angela Egan have been very patient, diligent, and knowledgeable in helping my new husband and I find our first home. Overall, the people at the office are always very friendly and professional. 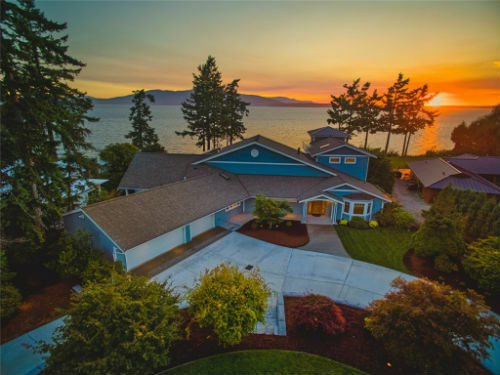 I highly recommend RE/MAX Whatcom County, Inc. for any of your real estate needs. I chose Lori Reece, then I chose RE/MAX, which was a no-brainer. 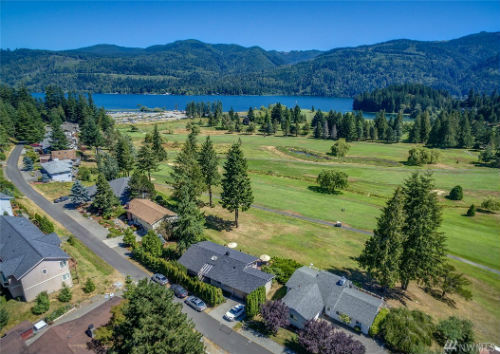 The reason – they sell more per agent than anyone else in Whatcom or Skagit Counties. The comradery has been close and in earnest. People here care and I love that. Always on top of technology and education, there are so many tools to help me be successful. The custom marketing and presentations have really put me a step above and have helped me win business over and over. I really can’t imagine working anywhere else. I've made RE/MAX my brokerage of choice for almost twenty years. The professional support, corporate services, ongoing education and excellence from the global to local level is simply unsurpassed. We were just window shopping the neighborhood and Maureen found us exactly what we wanted. Not a small task considering we wanted a view and needed mother in law suite. The whole buying process was very well staged and much appreciated as we were over 2000 miles away. Thank you Maureen! Lilia Orlova-Savchuk was more than we could ask for as a realtor! Very professional, experienced, kind, and detail oriented. The communication was also excellent! Was more than willing to be available any time and go the extra mile, whether it was a very short notice appointment, going through and helping with documents in great detail, or digging up needed documents from various sources. Lilia was very up front and truthful with all that was happening. Would not hesitate a bit to use again as a selling or buying agent if we were not moving out of state. Wonderful experience! Thank you Lilia! RE/MAX is a cornerstone in the Bellingham real Estate community. I have had great experiences working with them and am always impressed by their knowledge of the area and their ability to consistently close even the trickiest of real estate transitions. Thank you RE/MAX! A big shout out to Pete Hallett and Rick Moore for their superior and focused assistance and guidance during our house buying process. These are really great guys, and their hearts are set on making their client happy. Thank you for making our dream a reality. I am honored and proud to hang my Broker's license at such a professional real estate company. Thankful for the awesome support that Lori and the staff provide.